WASHINGTON (CNS) — With prison populations having exploded over the past four decades, governments have recognized it becomes quite costly to house and feed more than 2 million inmates. The federal government, which accounts for about 13 percent of that total, could start shaving the size of its prison populations if the First Step Act becomes law. The bill would put systems in place to make thin slices in prison time for those already in jail. It does nothing about sentencing reform, and the bill does not apply to state prisons, where the bulk of inmates are housed. Local jails aren’t touched, either. “We’re still reviewing it, but we don’t have a position,” said Michael O’Rourke, a domestic policy adviser with the U.S. bishops’ Department of Domestic Justice and Human Development. The First Step Act passed the House by a wide margin May 29. It could be a different matter in the Senate, where the typical fault lines don’t apply. Some members of each party argue the House version doesn’t go far enough, mostly because sentencing reform is ignored. Others, mostly Republicans, see the bill as going too far. Senators in each party also see the bill as a compromise and, indeed, a first step, but would like to see what the next step would look like. President Donald Trump, who hosted a May 18 summit on prison reform measures, has said he would sign the bill. He even hosted reality TV star Kim Kardashian at the White House in late May to talk prisons; her husband, hip-hop artist Kanye West, forged a mutual admiration society with the president after West’s comments on slavery earlier in May caused a sensation. Attorney General Jeff Sessions, whose relationship with Trump runs hot and cold, has voiced his opposition to the bill though, and he may still carry some weight with his former Senate colleagues. Trump’s son-in-law and adviser, Jared Kushner, is working to get the bill passed, as he cited the 14-month sentence his father served for a political corruption conviction. “My understanding is that there’s some question whether it can even pass in the Senate … whether it can get momentum in the Senate,” said Krisanne Vaillancourt Murphy, managing director of the Catholic Mobilizing Network, whose primary focus is on death penalty-related issues. 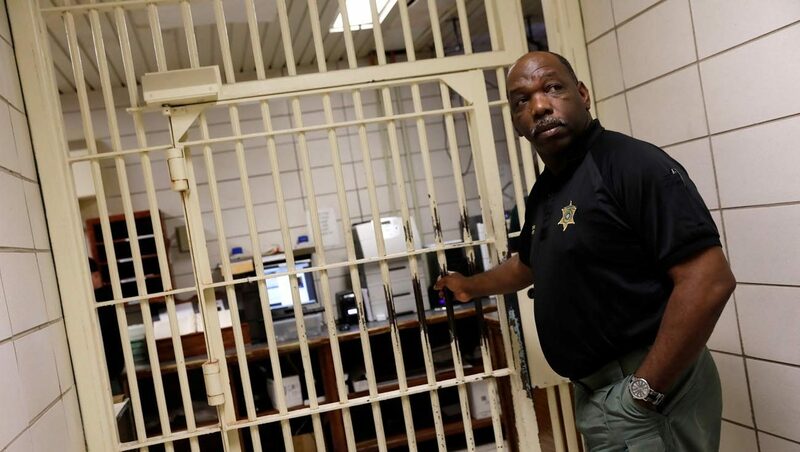 Some provisions of the First Step Act include placing federal prisoners closer to home, allowing more home confinement for lower-level offenders, and expanding prison employment programs. Items Trump indicated he would support include making female health products more available in federal prisons, giving prisoners more privileges — including more phone and video conferencing, email and visitation time — and opportunities to transfer to a prison closer to home, improving prisoner re-entry. In the Senate, Sen. Chuck Grassley, R-Iowa, wants to include sentencing reform in such a bill, and is backed by a small bipartisan group of senators. But FAMM’s Gill said McConnell is more interested in putting judicial nominations on the Senate calendar unless there’s greater evidence of bipartisan support for prison reform than currently shown. “We’re in touch with about 37,000 federal prisoners and their families every day,” she added, and they support bills “that get people home sooner, that keep families closer, that make prison a more productive place for people. Compassionate release where sick prisoners can petition for an early release. Compassionate release has been broken for 20 years — letting people to go home and die with their families. The Catholic Mobilizing Network maintains a secondary focus on restorative justice, with an eye to preventing and reducing jail time for offenders if they make contrition and reconciliation with the victims of their crime. Gill said the First Step Act cannot be the last step. “If it passed in the form that it’s in now, I think it would obviously doesn’t do anything about sentencing, and you have to fix sentencing. You have to fix the spigot, and not just pull the plug in the drain on a system that’s putting people in prison longer than they need to be there. Put prison costs down to a more reasonable level. I think mandatory minimum sentences are unjust and unreasonable,” she said.